This is a Windows 2000/XP reference driver set that was found on Gainwards FTP. All NVIDIA graphics cards to date are supported with this new ForceWare/Detonator driver set and this is going to be one popular set to download ! 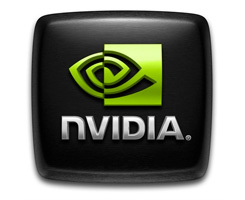 The build date for this NVIDIA Display Driver version is 56.55, 01/29/2004 ! The archive was re-compressed and brought down towards 10 MB. There's no precise word on performance just yet however we have several discussion running in our forums to share your experiences, click here. The archive was checked, is virus-free and hey .. I even think I noticed WHQL certification. The driver control panel and tray icon menu changed a lot. Performance seems at least slightly higher, and quality seems to be at least slightly higher in some games, along with bug fixes and new interface with new nifty profiles (settings per exe file is really awesome) I'm all for it. What's also quite interesting is that auto overclocking has been added as an option, a dynamic overclock ala ATI's Overdrive.